Saturday Night Live welcomed its second-ever Asian woman to host, Awkwafina, with music guest Travis Scott! Awkwafina is coming off a hot summer. Not because of global warming, but because of her roles in Ocean’s 8 and Crazy Rich Asians. The multi-talented Awkwafina started getting the recognition she deserves this past year, culminating (for now) in the rare honour to host Saturday Night Live, and the even rarer honour to be the second Asian woman to host Saturday Night Live since Lucy Liu hosted in 2000. So significant this is, that Awkwafina gave a shout out and a “thank you” to Lucy Liu in her monologue. A classic monologue – just straight talking with a few jokes, none of that fancy-schmance song-and-dance. Not quite a stand-up act, it’s just Awkwafina being Awkwafina (and a little bit of Awkwafina being Donald Trump, sort of). And while it hasn’t happened yet this season, it’s good to have a straight-up monologue to dilute the wave of song-and-dance monologues that you know are coming. They’re fine, they’re great, even, but sometimes there are just too many of them. Music guest Travis Scott nailed it this week, performing his song “Sicko Mode” and a medley of “Skeletons” and “Astro Thunder” with special guests John Mayer and Kevin Parker supporting him on guitar and bass. Travis Scott also appeared in a street dancing sketch, busting a move to the Jeopardy! theme. Hours before the broadcast, the contentious Brett Kavanaugh was approved for the American Supreme Court. The on-the-ball writers on SNL had either prepared for this fairly obvious inevitability, or were really quick to whip up some last minute sketches – the cold open sketch found the Republican Party having… a party. A big one, like a Brett Kavanaugh in 1982 level party with drinking beer and lifting weights, presumably. It also had a weirdly accurate and scary impression of Mitch McConnell by Beck Bennett – it took a while to register who it was behind that fake turkey neck. He looks exactly like him, right down to the bugeyes. The Weekend Update anchors Michael Che and Colin Jost spent a lot of time criticizing the approval of Kavanaugh, and criticizing Kavanaugh himself. It’s great to have such a tight Weekend Update segment with Che and Jost – these two have been killing it over the past two years of staggering politics like no one has since Dennis Miller (who, given what he was working with, took Weekend Update to the next level, politically). Saturday Night Live returns live Oct 13 with host Seth Meyers and musical guest Paul Simon. 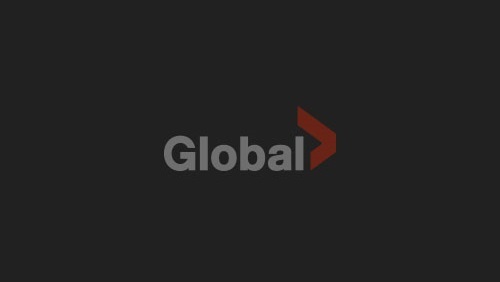 Be sure to catch Saturday Night Live airing Saturdays at 11.30 et/8.30 pt on Global, and watch the latest episodes online here on GlobalTV.com/SaturdayNightLive!